Remember yesterday when it was really warm in Chicago? Ah, that was the day. While today we’re #blessed with some cooler temperatures, we can’t help but let our minds wander back to the fresh and glowy makeup look we’d rather be wearing. Lucky for all of us, it’s pretty simple. A five-minute face, if you will. Best of all? No brushes needed. – Slap on some base if needed or just dab concealer in the problem (read: red) zones. As we’ve said before, we never go a day without our 30-second concealer hack. – Bronze it up. Chances are you’re rocking a duller complexion these days (thanks, winter), so reach for your favorite bronzer (this drugstore one is a steal) to give yourself a little sun. – Give the eyes some light definition by washing a neutral brown cream shadow across the lids with your fingers. Start at the lash line and blend upward to the crease. Use a clean finger to blend out any excess. Top the eye look off with a fluttery, black mascara. – To really give this look some glow, a highlight is a must. We grab a cream one for easy application and blend with our finger (again). Use under the brow bone, in the inner corners of the eyes, on the cupid’s bow, and across your cheekbones. – Finish your fresh look with a soft, wearable lipstick like this Moisture Renew one from Rimmel. The shade ‘Let’s Get Naked’ is a really easy-to-wear pink for every day (and for people who usually dislike pink anything – the girl writing this post, for example). This is the first of many spring beauty tutorials coming your way, so we hope you enjoyed learning how to get our quick “Face of the Day.” And honestly, it feels gooood to put the berry tones away (rhyming unintentional. yikes.). 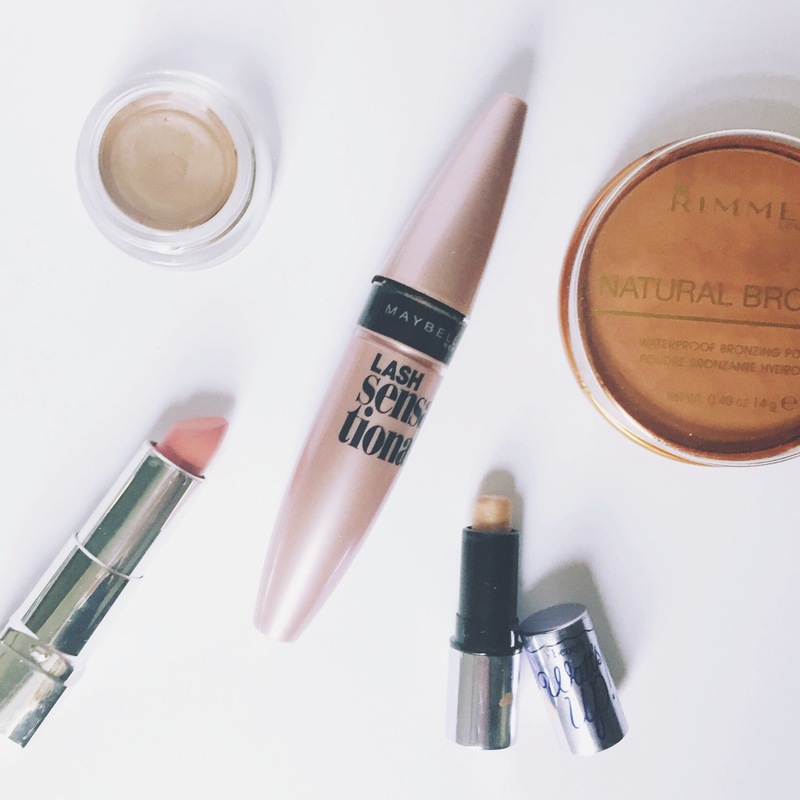 How will you be revamping your makeup for spring? you some interesting things or suggestions. Perhaps you can write subsequent articles relating to this article.